HAPPY EASTER!! We hope you can join us. 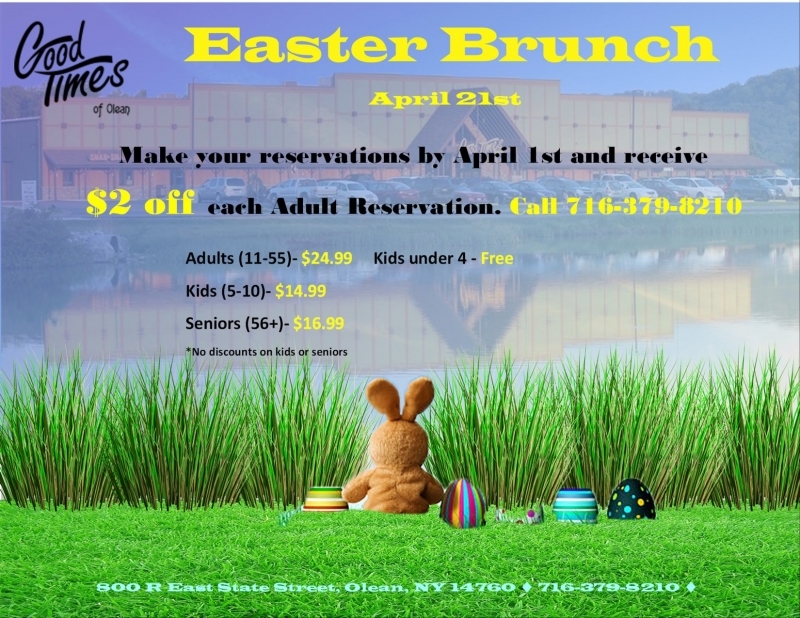 Call 716-379-8210 before April 1st and save $2.00 off each Adult brunch at your table! We are putting out a fantastic spread in our banquet center and spilling over into The Point restaurant for this event. Over 25 items offered including desserts, full breakfast options, lunch options and carving stations with roast turkey and top round.